Movie piracy has been a red-hot topic as of late, with multiple online outlets grabbing headlines by carrying copies of Seth Rogen and Evan Goldberg’s The Interview (before Sony tried to curb the illegal sharing by making it available through streaming services). But torrent use continues to be a buzzed-about topic in the industry, especially as studios and industry experts get a look at the numbers of the films that were illegally downloaded in 2014. Do you want to hear the strangest part about this? 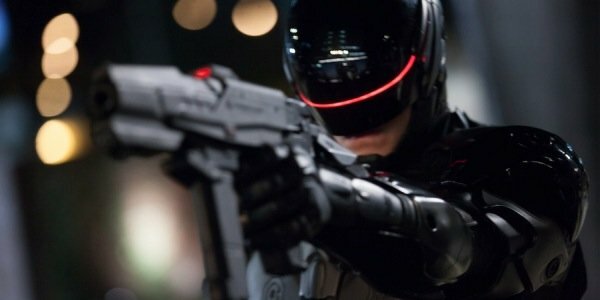 Jose Padilha’s reboot of the classic RoboCop franchise might have done better than is being reported, as Excipio notes that the 2014 film version could have lost a few reported downloads because it shares the same title as its predecessor. So if not for that confusion, RoboCop might have topped Frozen and Wolf as the most sought-after download of the year. And that’s bizarre, given the backlash that met the movie as it headed into theaters. That’s the thing, though. Even though audiences didn’t want to pay to see a movie like RoboCop in theaters, they were curious enough to download the feature and see how it turned out. That reasoning helps explain why movies like Edge of Tomorrow and The Legend of Hercules are on here. The one I can’t figure out is Gravity. The whole point of that movie was to see it on the biggest screen possible. In that instance, the "pirates" truly missed out.